Out of nowhere, A$AP Ferg has abruptly postponed the second half of his "Mad Man Tour." This means that fast-approaching dates in both Toronto and Montreal will now take place later than originally scheduled. 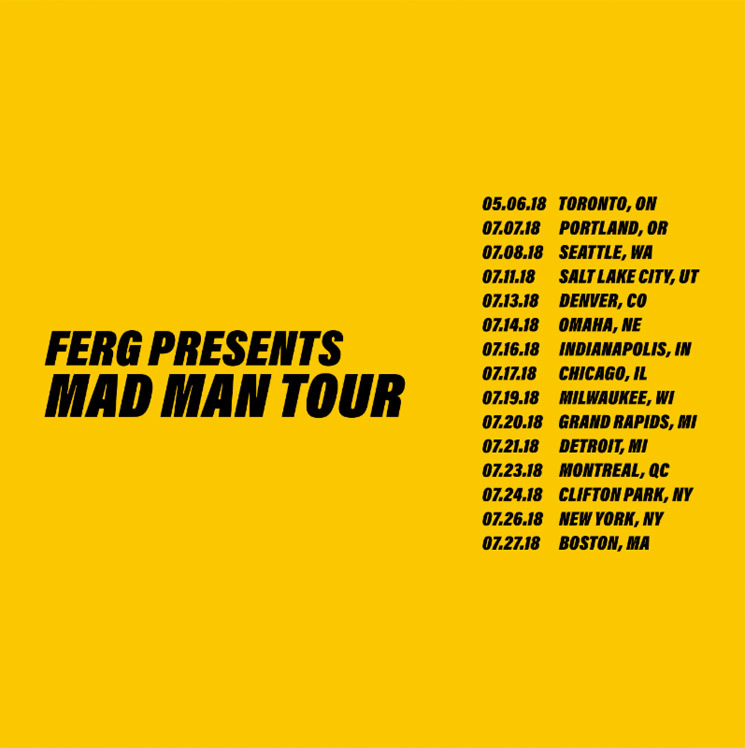 In a statement, Ferg said, "I'm rescheduling the second half of my 'Mad Man Tour.' All postponed shows will be made up in the summer. To all my fans coming out to the shows, thank you for your overwhelming support and I'll see you in July." Beyond that, though, it's unclear why A$AP Ferg is rescheduling all the dates. You can see the updated tour schedule down below. As you'll notice, this includes tonight's show in Omaha, with all the dates now starting in May.